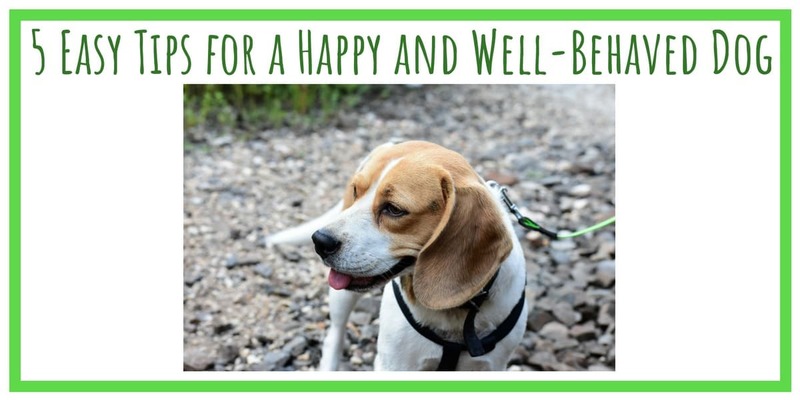 If you want your dog to be happy there are ways to do it to make sure you also have a well-behaved dog. Good behavior and happiness tend to go together in our pets. You just need to know the rights tips to get the right results. Here are some easy tips and tricks to help you with your dog at home. Having a well-trained dog that is happy and balanced is more than just feeding them and showering them with love. That’s the easy part. However, dogs, just like children, need guidance, discipline and rewards to make them well-behaved and balanced. Here, you’ll be given 5 tips that you can use to keep your dog well-trained and happy at the same time. It’s really not that difficult. It’ll require some patience on your part, but once you’ve got over the initial hurdles, you’ll have a wonderful companion who behaves and responds well. Once you know how to do it, it’s easy to have a well-behaved dog. This is important, not only for your own benefit, but for your dog too. If your dog is well-behaved and responds to commands this is safer when you’re out and about or at the dog park. And if you put time into training your dog, this builds a stronger connection which results in a happier dog. You cannot plead or reason with a dog because it is driven by instincts and not intellect. And you shouldn’t be an emotional mess or highly aggravated either. You want to be cool, collected and yet, assertive. Remember, you’re the pack leader. Don’t let your dog see you sweat. After a walk you should let yourself into the house first and let your dog follow. When it’s meal time you should feed yourself first and then your dog second. This may not sound like the sort of thing you want to do naturally but this helps to establish yourself as the leader. You dog will come to respect you for it. This is one of the essential ways to have a well-behaved dog. This happens naturally within families too. If one of the parents is angry this is often contagious and a spouse or children tend to get angry or grumpy too. Your dog is one of the family and your dog will naturally respond to your positive or negative energy. If you want a well-behaved dog you need to know your dog’s instincts. Different dogs have different temperaments and natural instincts. It really can depend on the breed. Some dogs love to hunt. Other dogs are more sociable, while some love to run in open spaces. Some dogs naturally like to herd animals (and often like to try and herd children too!). If you have a dog that needs lots of exercise, you’ll need to bring it out to run and play. If you don’t, it will be unhappy and misbehave because it’s not able to follow its natural instincts. Understand your dog and allow it to follow its instincts. This is important to have a well-behaved dog. If your dog needs to run then you’ll need to make sure you have enough open space or take your dog to a dog park. If you can only walk an energetic dog on a leash it may not be able to get enough daily exercise. This is one of the most important tasks that you must do to raise a well-behaved dog. When you bring your dog out for a walk, it should always walk beside you. You should not let your dog walk ahead of you, and not behind you. Taking your dog for a daily walk (twice a day is ideal) is important because your dog will have a chance to use up its excess energy. A dog that gets enough exercise is a happy, healthy and well-balanced one. For a well-behaved dog, you need to learn to walk your dog properly. Have you heard about brain training for dogs? Dogs are intelligent creatures. Your dog will respond well to brain training and it helps to avoid boredom. If your dog is getting bored or frustrated at home, this will cause bad behavior. Whereas if you train your dog to perform a few tricks this helps your pet bond with you better and keeps your pet interested in a new activity. Most dogs can learn a few tricks easily. 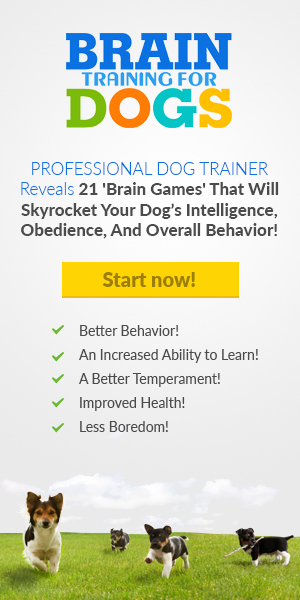 By following a brain training program you can train your dog easily and quickly. This is a great way to get your dog responding well to you and building more rapport as leader. Observe these 5 tips and you will have a happy and well-behaved dog. When your dog is more disciplined, this makes life easier for you both. ⇒ Do you want to stop your dog from digging? See more here. ⇒ Does your dog have matted hair? Here’s the way to get rid of it. ⇒ Do you know how to safely trim black dog nails? See more details, here.